With a stay at Melmar View Hotel in Kefalonia, you'll be within a 15-minute drive of Foki Beach and Fiskardo Port. 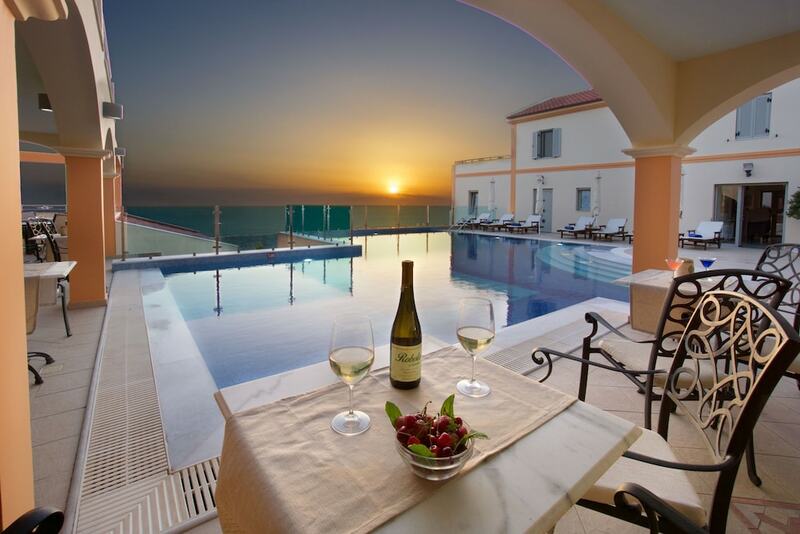 This 4-star hotel is 12.2 mi (19.6 km) from Myrtos Beach and 23.4 mi (37.7 km) from Antisamos Beach. Make yourself at home in one of the 11 air-conditioned rooms featuring refrigerators and minibars. Rooms have private furnished balconies. Flat-screen televisions with satellite programming provide entertainment, while complimentary wireless Internet access keeps you connected. Private bathrooms with shower/tub combinations feature complimentary toiletries and hair dryers. Satisfy your appetite for dinner at the hotel's restaurant, or stay in and take advantage of the room service (during limited hours). Unwind at the end of the day with a drink at the bar/lounge or the poolside bar. A complimentary hot/cold buffet breakfast is served daily from 8 AM to 10 AM.